Customer has an existing trailer mounted machinery used for spraying concrete curing agent and have been having issues with manual handling of the hose & hose reel during and after use. The previous operation was inefficient and laborious since it requires (2) personnel to perform this task, with one person spraying whilst the other person operating the reel. 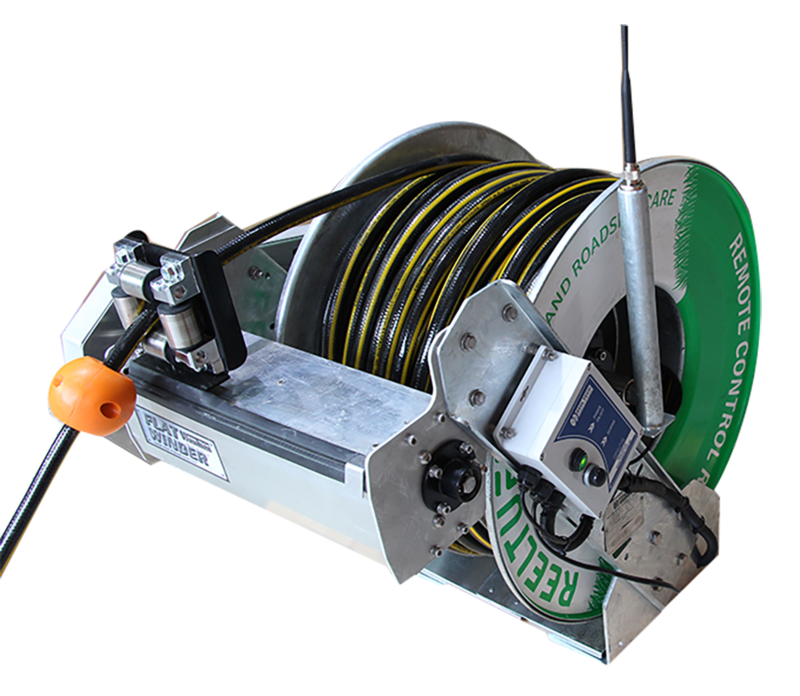 The customer had seen a few remote control reels as used by council workers for spraying pesticides/herbicides and wanted a similar reel, in this case, to remove the manual handling aspect of the operation and make their operators more productive. However, due to the nature of the application and the size of the hoses used on their operation, the standard reels were not particularly suitable so they needed a specialist hose reel manufacturer that can offer them the right product for the task. 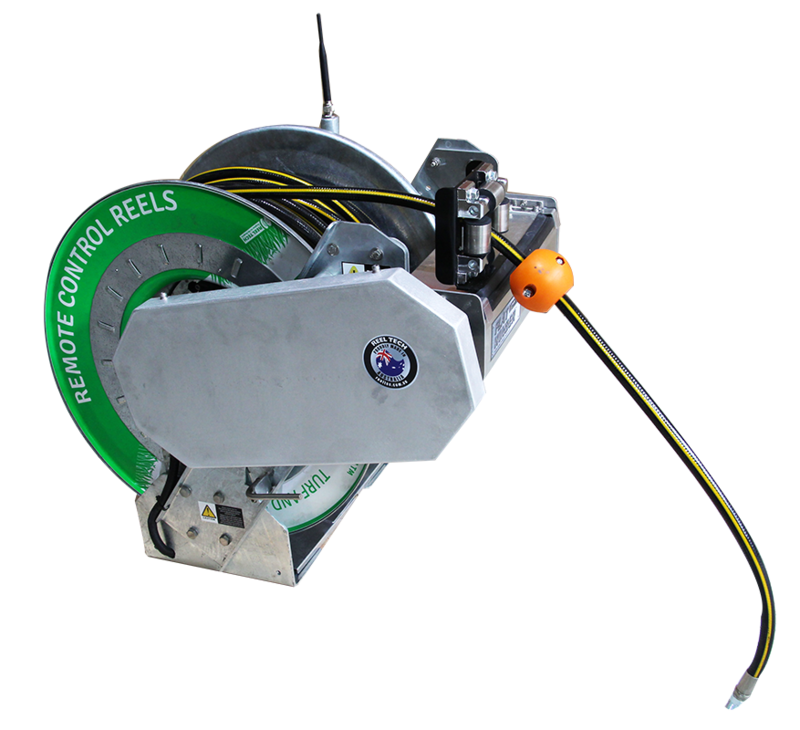 Reel Tech specialises in many custom engineered reeling solutions and have the technical capabilities to provide unique solutions to many of its client’s strict reeling specifications as used in many heavy industries. Its approach to properly understanding exactly what the client’s needs are and the required functionality allows its team to engineer not only a reliable product that meets the rigours of the application but it includes unique features as well to allow the operators to perform its task with minimal effort and greater efficiency. In such case, the reel provided includes its industry-leading long-range wireless remote control with frequency-hopping spread spectrum (FHSS) technology for better reliability and immunity to interference. 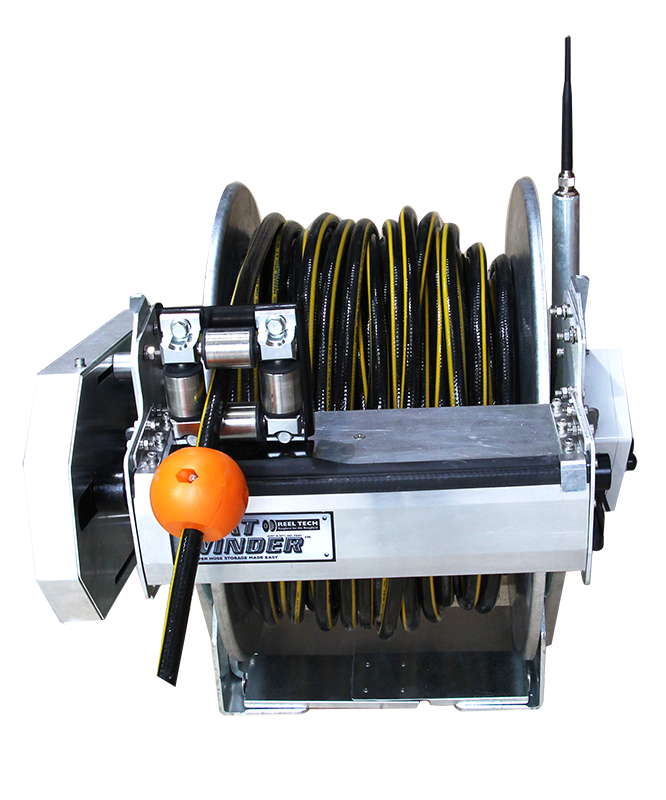 It also includes the patented FlatWinder™ level wind system which automatically guides the hose neatly on the spool and prevents hose jamming. Both special features work harmoniously eliminating the need for manual handling of the hose & hose reel during the operation. This, in turn, resulted in increased productivity, and a rather quick ROI, as they can now perform the same task with ease and with just a single operator.